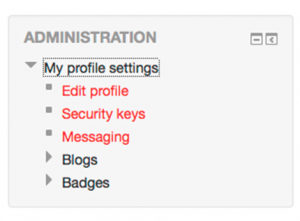 Your Moodle profile automatically contains information such as your name, email address and country. You are unable to change your email address and are unlikely to change your name and country, however, there are other changes and additions you may well want to make, the most common of which are covered below. 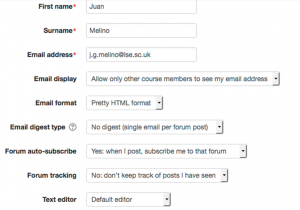 All information in your profile is visible to other LSE Moodle users who click your name in places such as the course participant list or in a discussion forum. 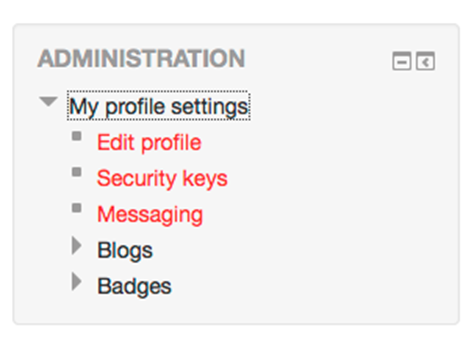 Click My Profile Settings in the ADMINISTRATION block on the Moodle Home page or from within a course. Click Edit Profile to reveal current settings. 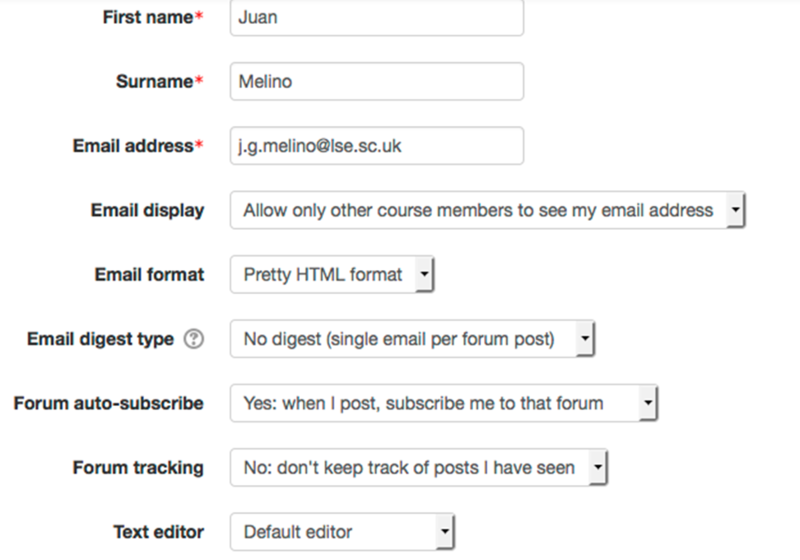 You may want to consider changing Email digest type to one of the other settings so you get only one email a day from Moodle. (Emails are generated whenever there is a post to a forum to which you are subscribed. They are also generated if someone sends you a direct message and to notify you of submissions etc.). You may also want to consider changing the Forum auto-subscribe depending on your preferences. You can add some biographical information in Description. You can upload a photo or avatar in User Picture. You can add interests in INTERESTS which will appear in the LSE INTERESTS block on the Home page. Remember to separate each tag with a comma. 6. When done, remember to click (at the bottom of the page).